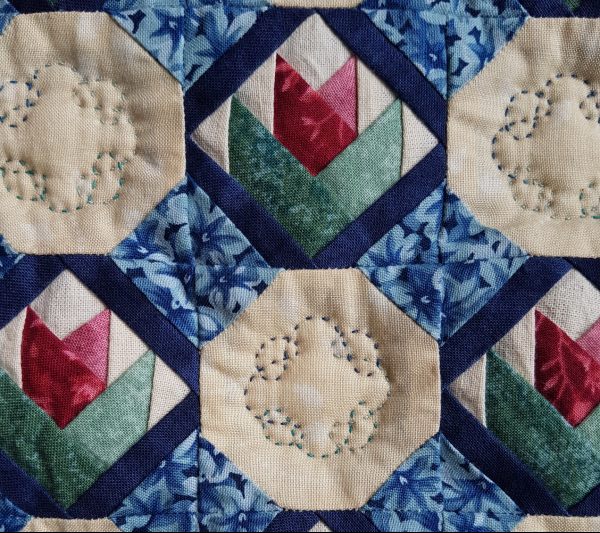 Bernie, of Needle and Foot, has come up with a fun link up all about our quilting blunders and mistakes. Bernie said, "While I do love the inspiration found on Instagram and Facebook, sometimes it makes me wish I were more skilled or more artistic or more prolific a quilter or more, just more. Know what I mean? It seems to me we should share both – the mistakes and the achievements, the blunders and the best of our work. This would present a balanced picture, it would show quilting – in real life!" I learned the basics of sewing from my Mom and everything else has been picked up from books, magazines and (more recently), online tutorials or classes. 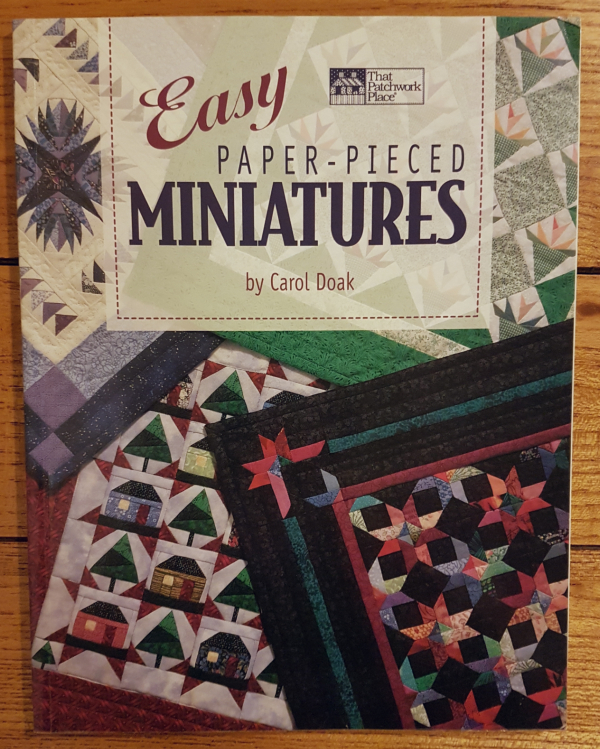 Back around 2001 or 2002, I bought this book so I could learn paper piecing. From it, I made this mini quilt. I bet you can see my blunder (and I'm not even talking about my complete disregard for the direction of the fabric I used for the border). 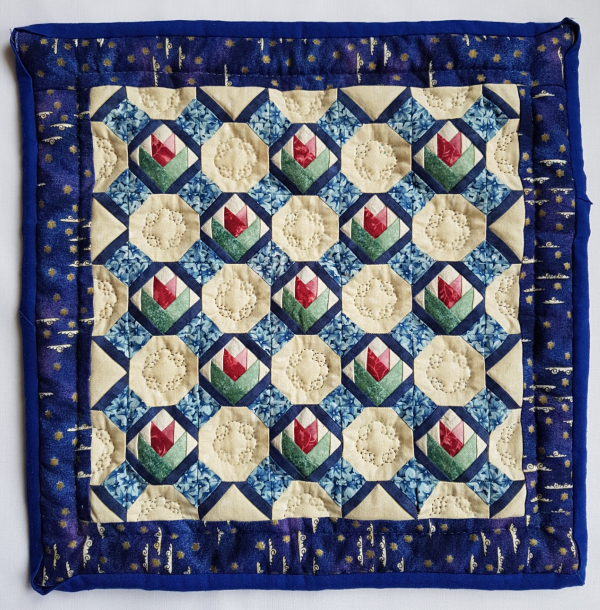 The quilt is kept on a small table next to our bed and every now and then the gap in the stitching of the binding captures my attention and I consider hand stitching it down. In the end, though, I always decide to leave it because it captures a stage of my journey to becoming a competent quilter. I love being able to look back and see how far I've come! 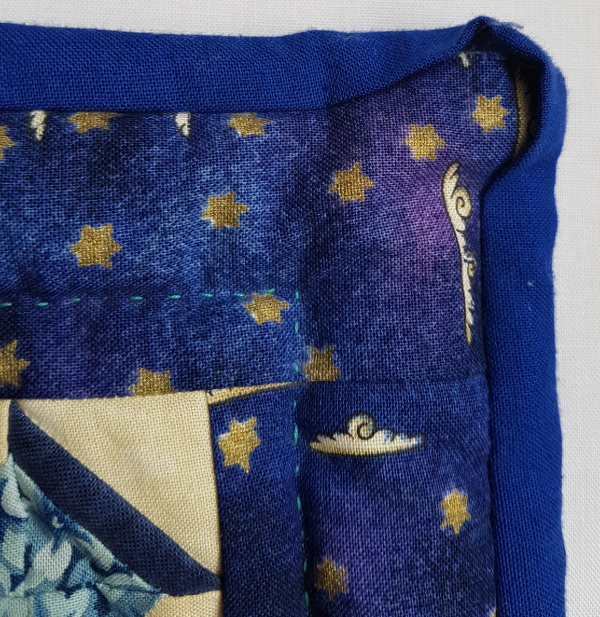 If you have a quilting blunder to share, head over to Needle and Foot. You can either write your blunder in a comment on Bernie's post or you can write a post of your own and share the link in a comment. I didn't see any blunder - just thought you weren't finished binding - cute quilt. I think it’s cool that you have kept the binding original and can see how much you have progressed! Honestly it looks great and I could see creating an artful finishing like this could become a trend. I also like that you are keeping the quilt the way it is. It's a good reminder that it is a process we are on. Oooh, I was the opposite when I started binding! I measured and was terrified to go even a stitch past 1/4 inch because I was sure it would destroy everything. Isn't it funny how we interpret things differently? Your piecing and hand quilting are awesome! I don't know that I could stand not fixing it. I love that you can tolerate it and admire where you are now. I didn't even notice the binding LOL I was too busy looking at your hand quilting.